Robert has been working at the salon part time for a number of years now. 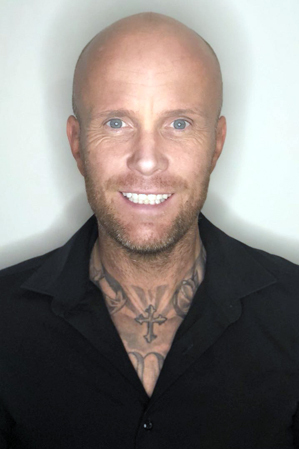 Robert has many roles in his job description and is a very hardworking, talented, highly motivated and has the best interest of the salon, clients and staff at heart always. One of Robert's main roles is the social media guru in the salon due to his numerous years in work experience in the field of advertising and marketing. Robert recognises the importance of social media and is responsible for the competitions, assisting the daily posts and promoting HOF across the 4 most popular forums Google, Instagram, Facebook and Twitter. Robert is also responsible for ordering stock to be both used and sold in the salon. He also uses in house sales incentives to promote the use of products and also educates clients on the products we use on their hair. Robert also takes an active role in 1-2-1, team meetings and organising the famous staff days out. Robert is very focused and motivated in the salon, delivering the perfect client experience when visiting HOF. Robert works hard to make sure all the staff stay motivated and happy which results in the amazing atmosphere and reputation the salon has. He also works a lot of the time on reception, meeting and greeting the salons many clients and has a great rapport with them and loves working at the salon. Robert splits time at work with running a family with his partner and is the proud father of 4 children.